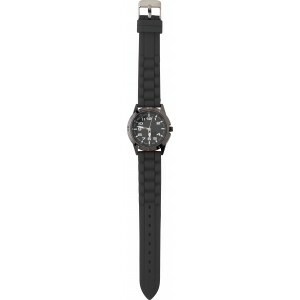 Large, alloy and mineral glass watch for men, with silicon strap. 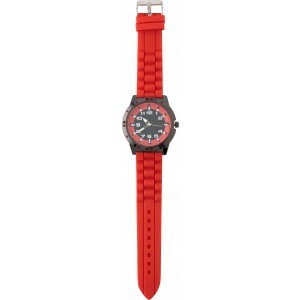 Includes a coloured ring on the dial, matching the strap. Presented in a clear plastic box. Batteries included. 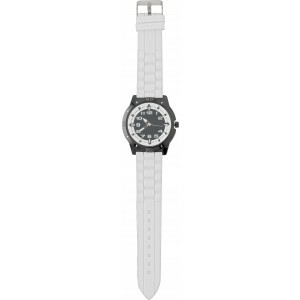 Small, alloy and mineral glass watch for women, with silicon strap. Includes a coloured ring on the dial, matching the strap. Presented in a clear plastic box. Batteries included. LCD SmartWatch. 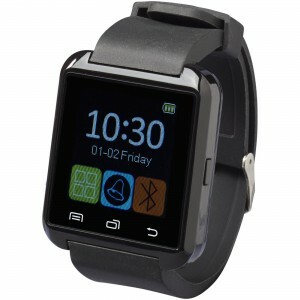 The LED smart watch is an electronic timepiece with a 1.44" LCD touch screen and so much more. Once connected via Bluetooth?, it can begin receiving notifications from your smartphone allowing you to connect and respond instantly. You can also take phone calls quickly and conveniently with the built in speaker and microphone. The smart watch also functions as a music player and remote camera shutter. For any ISO Device it only supports these function: Calendar, Calling, Calculator, Clock, & Music. Fully compatible with Android operation systems. Up to 45 minutes of talk time. Stand by time up to 120 hours and 1.5 hours charge time. The screen size: 4 x 5cm. Supplied in a white Avenue gift box. Silicone. Stainless steel smartwatch with silicone strap and metal engraving plate. The smartwatch displays time, counts steps and calories and tracks distance and heart rate (resting heart rate and exercise heart rate). 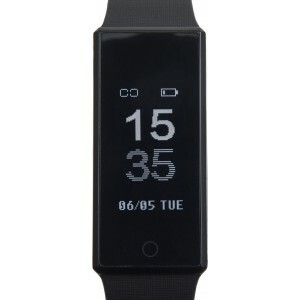 It has an exercise tracking mode and can send you reminders to start moving. The smartwatch automatically tracks your sleep and you can set a silent, vibrating alarm. In addition you can accept incoming calls and read incoming texts.